IMAC brings us 103740/760103 BENTHIC SPORT. 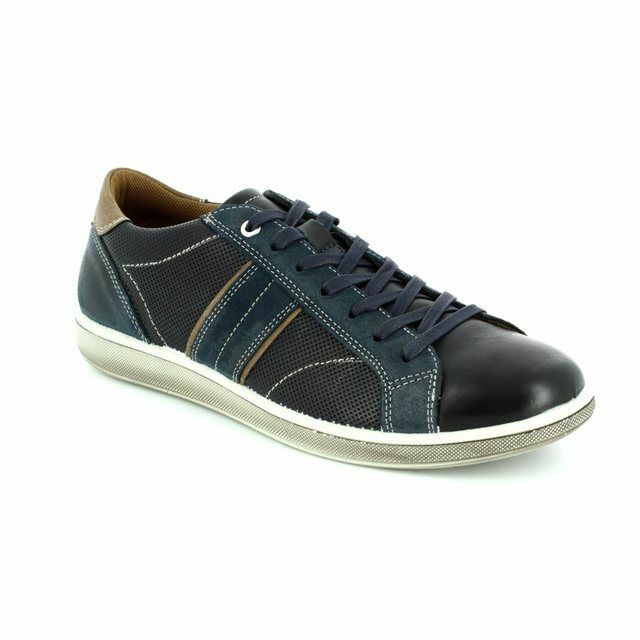 These stylish men's navy trainers bring together Italian design and incredible comfort to create a versatile shoe that can be worn with jeans or chinos for an easy casual look. 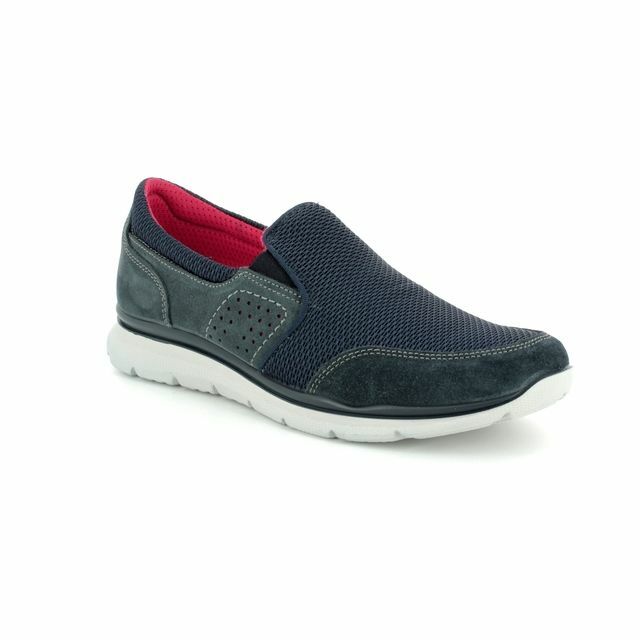 The upper if made from a woven textile with suede overlays to the toe, heel and sides. 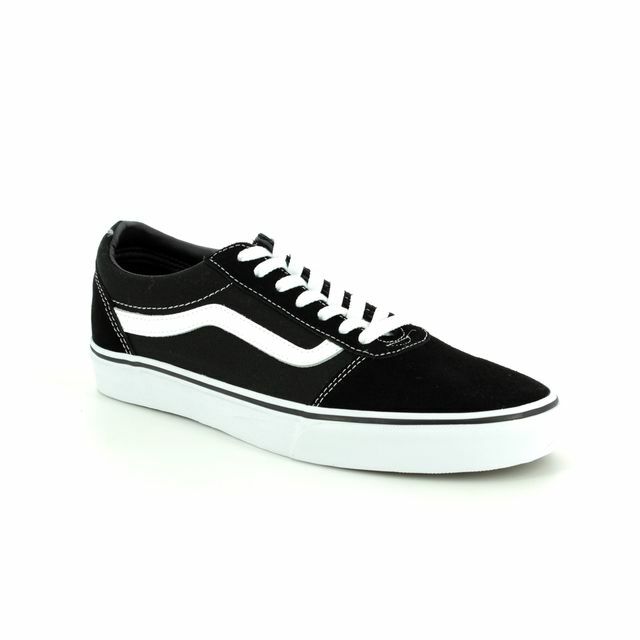 The shoe is lined with a contrasting red textile and there is a padded collar for added comfort. 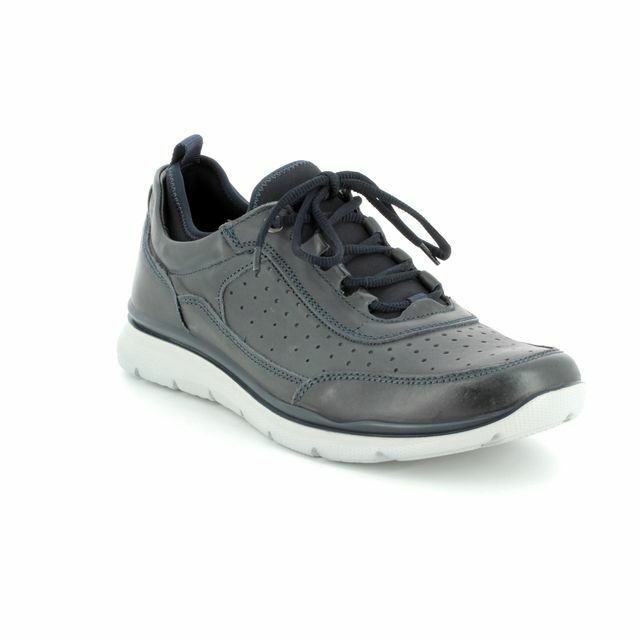 There is a leather insole that helps to create a healthier shoe environment by allowing your foot to breathe naturally. 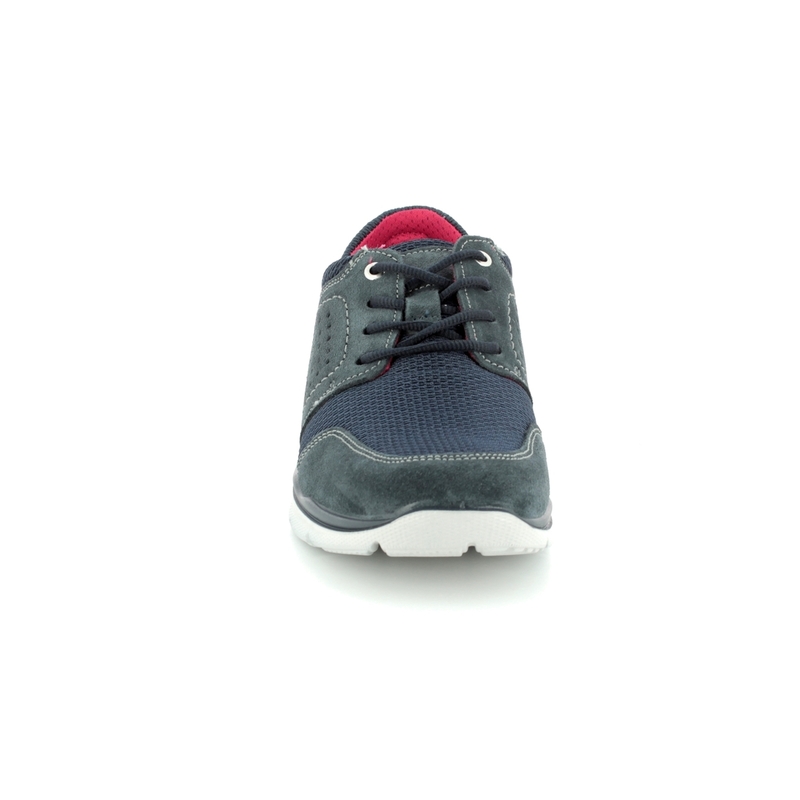 The insole is also removable should you require your own insoles or orthotic inserts. 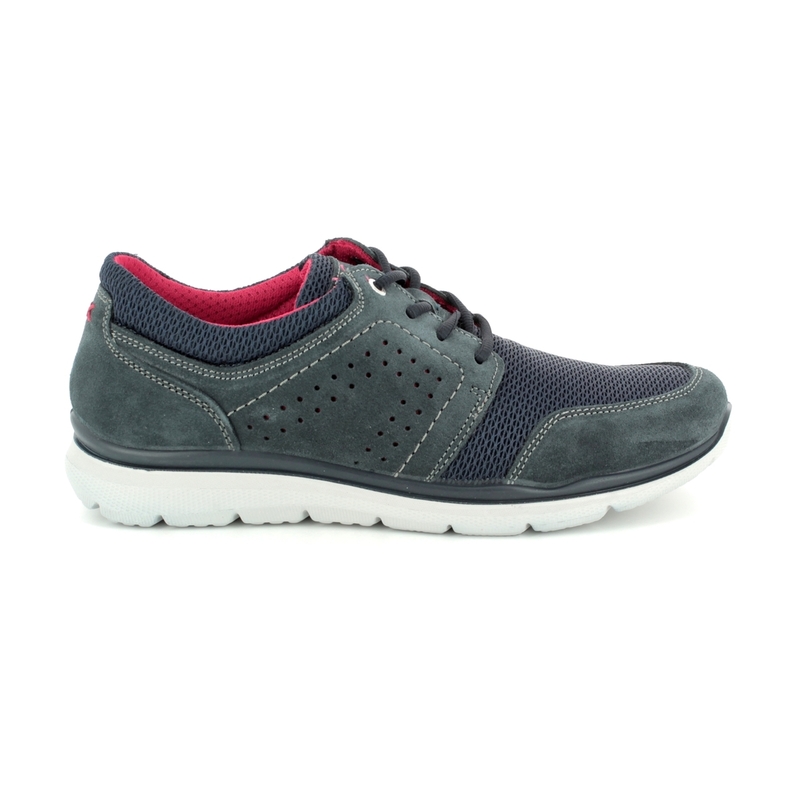 The sole is made from PU which is light and flexible and there is also a shock absorber built into the heel for comfort while walking. 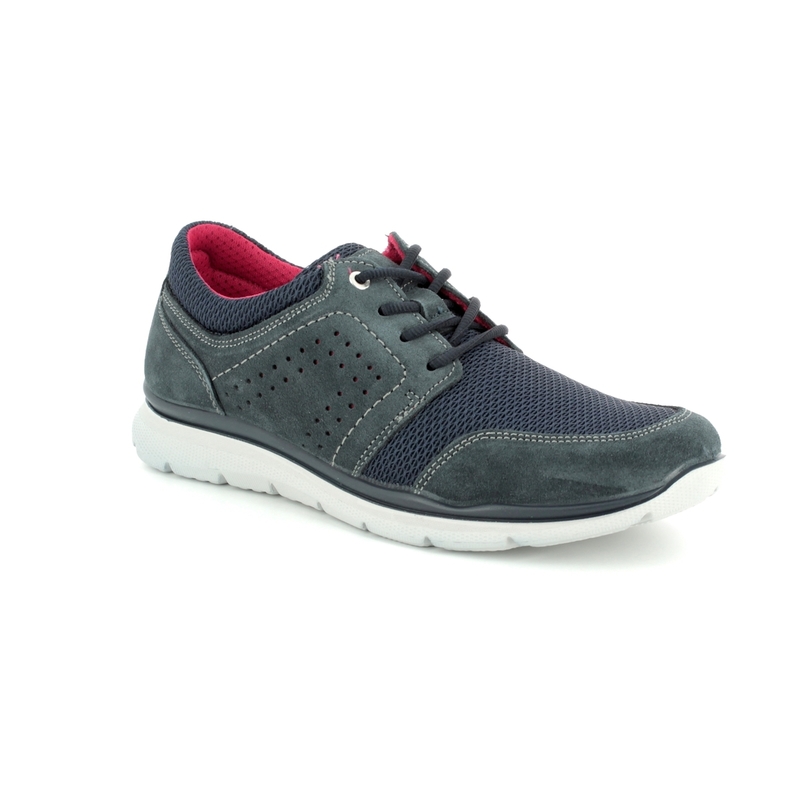 Buy your IMAC men's trainers from Begg Shoes, an official IMAC stockist.